In Church and Thambusamy’s “Competition and Information Deception in Online Social Networks”, the authors attempt to answer and discuss the research question “What are the antecedents of a desire for online competition, and how do competitive desires impact intentions to engage in personal information misrepresentation and refusal?” The authors focus on Facebook, an online social network that handles massive amounts of personal data. The article found that misrepresentation and refusal to share personal information was related to an individual’s desire for online competition, but I want to take a look at another part of the Internet. 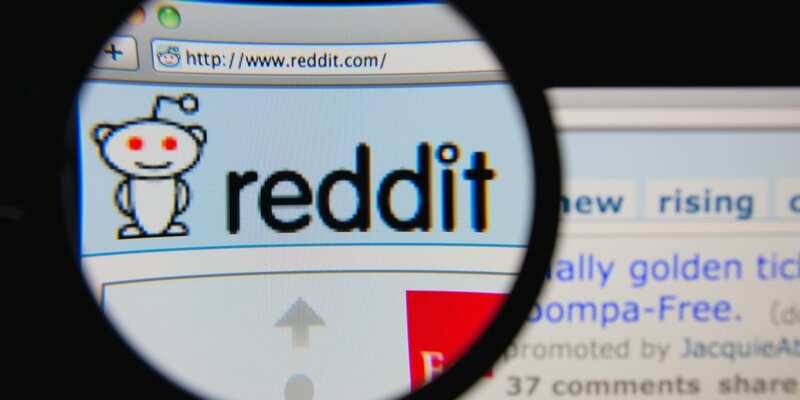 Reddit, an internet forum with a scoring system, is also affected by the factors outlined by Church and Thambusamy. The same factors (e.g perceived status benefits) that lead people to personal information deception also affect people who use online forums which allow people to use a screen name in lieu of their actual identities. For example, instead of competing for likes and friends, users compete over other scores, such as karma on Reddit. In addition, the online disinhibition effect, first studied by John Suler in 2004, states that people tend to act out more frequently online than in person. Some possible factors that lead to the online disinhibition effect are dissociative anonymity, invisibility, asynchronicity, solipsistic introjection, dissociative imagination, and minimization of authority. Users, feeling safe and anonymous behind their keyboard, are free to say things that they would not be able to discuss in-person. Unfortunately, this can manifest in a negative manner. From personal experience, Reddit is a site that values competition, more than either Facebook or Instagram. There is also a heavy emphasis on free speech. On Reddit, users can “upvote” or “downvote” posts and comments. Posts that garner a large number of upvotes are displayed on the front page; they retain their spot for a limited amount of time before a newer post takes its place. The cycling of fresh content to the top is important for a website that touts itself as “the front page of the internet”. Upvotes and downvotes are tallied for each user and the sum is called the user’s “karma”. A high amount of karma is associated with credibility within the community. This fits in with Church and Thambusamy’s fourth hypothesis: “perceived status benefits are positively related to the desire for online competition”. Due to the pseudonymous nature of Reddit and the fact that users don’t need an email to register, users can use multiple accounts. For the administrators, this is not a problem until they use those “throwaway” accounts to give themselves points. According to the sitewide rules, this is vote manipulation and is a bannable offence. One such incident led to the banning of a prominent and once-respected member of the community. Furthermore, this pseudonymity allows communities with controversial and hateful opinions to thrive in dedicated subreddits, which is their version of a subforum. Most overtly hateful or illegal subreddits have been banned, but some highly controversial ones like this one dedicated to Donald Trump remain. The Reddit community also has a history of jumping to conclusions, especially following a tragedy. Following the 2013 bombing of the Boston Marathon, the community sprung into action. A subreddit (now private, but an archived version can be found here) was quickly set up with the purpose of identifying the Boston bomber. The community mistakenly identified Sunil Tripathi as the Boston Bomber, among others. Tripathi had been missing for a month prior to the attack. As a result of the community’s actions, the FBI was forced to release images of two suspects in an effort to reduce harm. Hours after the images surfaced, the suspects attempted to flee, killing a police officer. They engaged in a shootout with law enforcement, which led to the death of another officer. The reasons behind this “investigation” are unclear, but it could be linked to the hedonic benefits derived from participating in the community. Reddit, like all social media, can be manipulated for many purposes. It is also subject to the same effects, compounded by the online disinhibition effect. Ultimately, it is neither a “good” nor a “bad” place. Simply put, it is what you make of it. If you engage in positive communities, you have an overall positive experience. If you choose to engage with the negative communities, you will have a negative experience. As asafrb notes, communication through a screen presents a significant barrier. There will always be misinformation and deception on the Internet; such is the nature of the beast. Online social networks cannot eliminate this, they can only mitigate it. This is a really well done post! I find it very interesting how the pseudonymous nature of reddit presents a completely different approach to competition. Changing the interaction with social comparison (which as we’ve discussed fuels competitiveness) allows for other factors influencing competitiveness to be highlighted in the discussion. This also presents a different meaning to being protected by a screen which brings another interesting perspective to the study of online social networks.